Use of a protein water drink product is highly indicated for gastric sleeve diet, or a liquid diet after gastric sleeve surgery. When considering a diet after gastric sleeve surgery, patients are recommended to look for 20-30g of high quality protein, less than 300 calories and less than 15g of sugars in a protein drink. 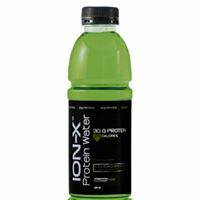 ION-X protein water australia satisfies this by having 30g of the highest quality protein, 120 calories and less than 1g sugars.